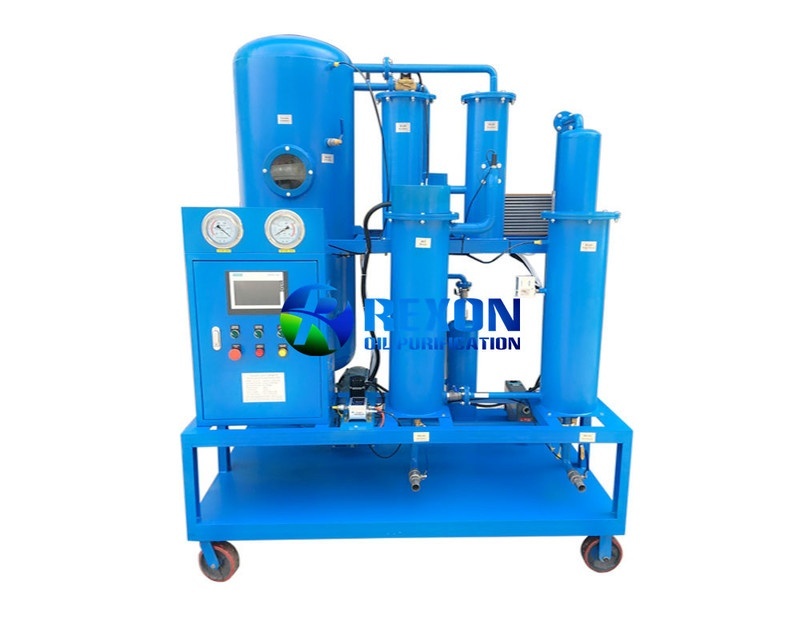 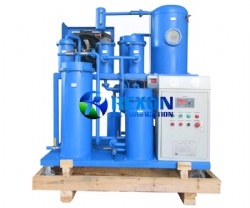 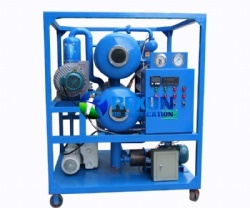 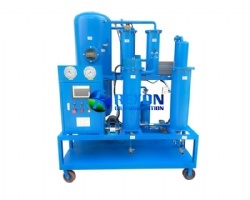 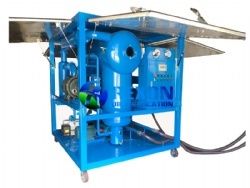 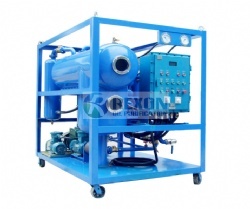 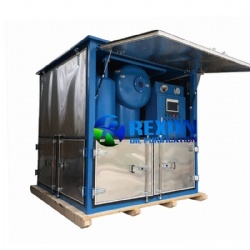 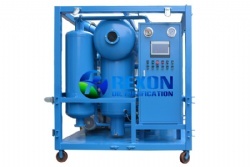 Rexon TYA Series Vacuum Dehydration Type Hydraulic Oil Purifier is an advanced & on-line hydraulic oil purification system that can remove free, emulsified and dissolved water and light hydrocarbons from hydraulic fluids. 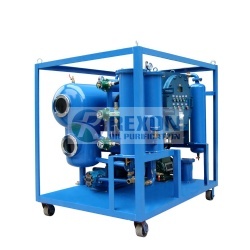 Rexon TYA Series Vacuum Dehydration Type Hydraulic Oil Purifier is an advanced & on-line hydraulic oil purification system that can remove free, emulsified and dissolved water and light hydrocarbons from hydraulic fluids. 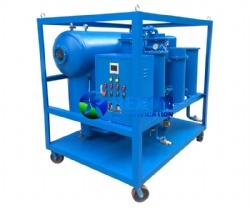 It adopts duplex 3D stereo-evaporation technology whose evaporation area is three times more than that of normal evaporation technology. 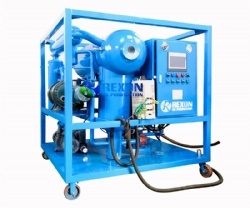 This innovation can dehydrate and degas oil effectively and efficiently. 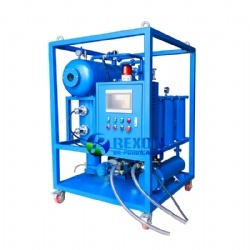 We bring in UK G technology which removes not only free water, but also emulsified and dissolved water, keeping hydraulic systems water free. 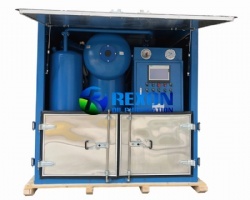 It can take oil that contains 1800 ppm of water down to a total water content of less than 80 ppm within 3~5 passes and circulations of the oil go through the unit. 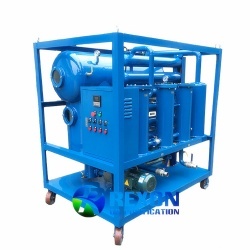 According to the hydraulic oil’s nature of high water content, it is equipped with a high effective vacuum dehydration system, with the big capacity to separate a lot of water from the oil. 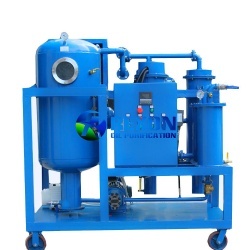 This machine can not only remove the mass water, but also remove the trace water and impurity with a high precision. 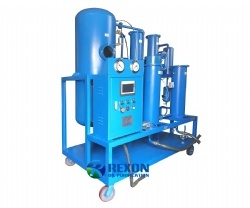 It adopts the technologies of film evaporation and molecule evaporation. 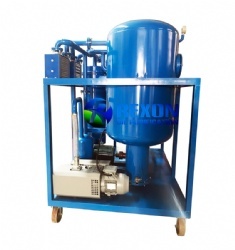 So it is easy to break the emulsification. 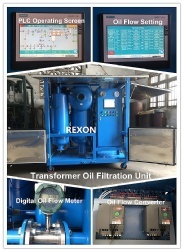 The treated oil is limpidity and qualified for reuse. 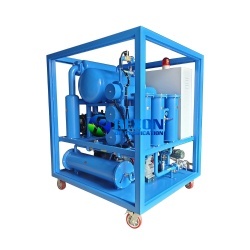 Beside hydraulic oil, TYA oil hydraulic purifier can also purify the lubricant oil, crude oil, engine oil, hydraulic oil, turbine oil, fuel oil, diesel oil and freezing machine oil, as well as other lubricant oil which have large amount of water need to be removed and too many impurities need to be eliminated by precision filtration.